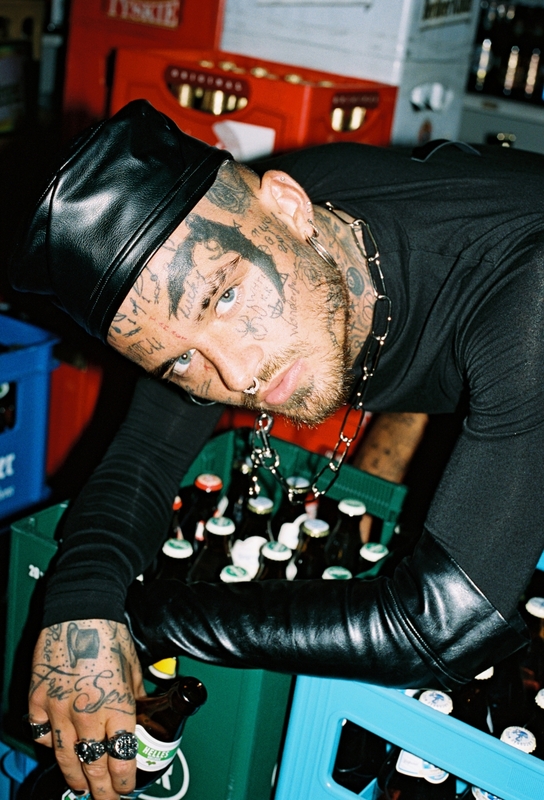 The Berlin-based all-black-everything design collective number one takes on the city in their new photo series. Staying true to their drapey and genderfluid aesthetic the Neukölln collective UY sends an array of diverse personalities from the studio into the urban jungle, creating visual disruptions and unexpected synergies in front of the lens. UY – that’s Scandinavian minimalism fused with Middle Eastern influences in front of a rough Berlin backdrop. The collective, founded by Idan, a Tel-Avivian native, and Fanny from Stockholm, moved from Barcelona to Berlin in 2013 – evidently a better fit for their dark and edgy look. In the German capital, lastly, things started to really kick off. The collective of five creatives doesn’t play by the rules of Berlin’s square fashion scene nor do they satisfy its circus. “We don’t like to categorize ourselves as a ‘fashion label’,” Fanny told MM, “We are more interested in the art scene.” You won’t find a UY show at Mercedes Benz Fashion Week or spot their designs for ridiculous prices at a common department store. Their sleek, monochrome pieces, from fashion to interior accessories, are handmade in their Neukölln studio, sold online or in store – for affordable prices under 100 Euros. A brand – actually worn by the people inspiring their designs. The studio’s new photo series “Berlin Waves” celebrates the UY core themes of freedom, queerness, and gender fluidity. Instead of purely using them as mannequins, the models were asked to style themselves for the shoot in order to bring their individual personalities into the UY experience. 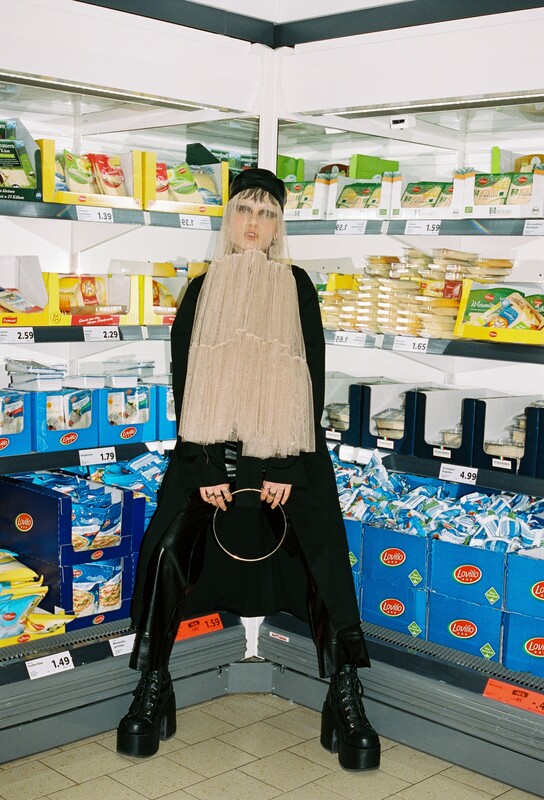 The visual results show them expressing their queerness and non-conformity at unusual, even hostile places – the melting pot of Kottbusser Tor, the banality of a Lidl supermarket or the inevitable Berlin S-Bahn. In this way, the series is creating a thought-provoking tension between the concepts of normal, queer, acceptable or condemnable through the means of fashion and style. could anyone please tell where that mural with hands (4th last photo) is located? that’s at U-Bahn Station Heinreich Heine Straße across from KitKat Club.